How about something positive? Are you optimistic for the new season? So, I happened to look at the Spring Training standings the other day. I normally don’t ever bother looking at spring training stats since, well, they’re useless. But day after day, reading the summaries of our beat reporters, it just seems like the team wins every day. As of this writing the team is 12-4-2 this spring, and more telling it seems like they’re also routinely winning the “first three innings” when both teams are at their best lineups. The other day the team bombed the Mets, hanging 8 runs on Bartolo Colon. Earlier this week they battered Wei-Yin Chen en route to a victory over Miami. They put 3 runs on the Astros’ Collin McHugh, and then tee’d off on a few of the Braves younger starters. Today Harper bombed two homers off of Justin Verlander, who I guarantee was trying to get him out on purpose. The second one *cleared the batter’s eye* in center, 420 feet away and 30 feet up. Wow; that’s a man’s homer. Quietly, this team seems to be flourishing under new manager Dusty Baker. 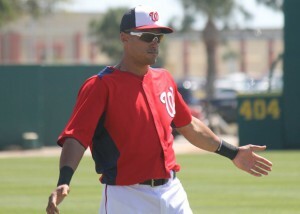 Everyone’s healthy (well, except for Ryan Zimmerman‘s foot, but I guess you can’t get everything you want). Baker has been showing his hand and putting out very professional looking lineups. We’re not hearing about a slew of guys who aren’t going to be ready for opening day like we did last year. We’re reading gushing reports about Lucas Giolito, including more than one baseball analyst being quoted as saying Giolito has the best stuff they’ve seen this spring … out of anyone in the game. They’re saying he’s this year’s Noah Snydergaard, a difference making ace who should be in the rotation by June. Looking at the beginning of the season’s schedule, this team could jump out to a pretty fast start. Their first 22 games are entirely against teams that are all threatening to lose 95 games this year: Atlanta, Miami, back against Atlanta, at Philly, at Miami, home to Minnesota and then three more against Philly. That’s 22 straight games that, honestly, they should be looking to win. At the end of April heading into May they have a heck of a road trip; at St. Louis, then at the defending WS champion Royals, then at potentially 100-game winning Chicago Cubs. Oof; if they take 3 games out of 9 on that road trip i’ll be happy. But heck; could this team start something crazy like 16-6? 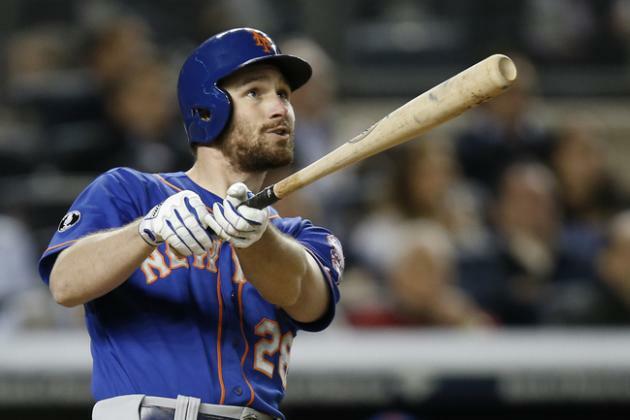 Could this team really take it to the Mets? I don’t have any stats or anything other than a gut feeling, but it really seems to me that NOT being the presumptive favorite and having a veteran players manager has really taken off the pressure. Are you feeling the same thing? Last year I went nearly game-by-game, night-by-night with predictions and analysis of the playoffs. Can’t do that this year, but I am doing some quickie starter match-up analysis to do some Divisional Series match-up predictions. The current list of probables is mostly guess work, with the help of MLB.com’s probable pitcher page. Also using depth charts to make guesses on the probables. Lets start with the home team. The WP’s James Wagner has a nice “how do the Nats fare against Peavy and Hudson” story on 10/2/14 with per-National stats against Peavy and Hudson for the first two games. And Wagner also just announced the rotation order for the Nats. Yes, it seems like we’re going to see Strasburg & Zimmermann at home instead of Stras-Gio. 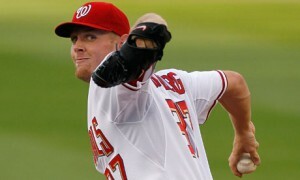 Looking at the match-ups, its easy to say “advantage Washington.” Strasburg has been hot. Zimmermann has been even more hot. We then throw the underrated Fister against Giant’s best starter, then come back with Gio in game 4 on the road, where he’s going against the erratic Vogelsong. Hudson has had the Nat’s number for years, but he’s been a train wreck in the 2nd half of 2014. Peavy has been a bulldog for San Francisco since the trade, but was nearly a 5.00 ERA in the AL. I’m predicting Washington sweeps the first two at home, loses Bumgarner’s start, then beats SF in game 4 to wrap up the series 3-1. St. Louis has already announced that Michael Wacha is *not* in the post-season rotation, which is a huge blow for their chances to out-last the Dodgers. The game 1 match-up might be the pitching matchup of the post-season, with perennial Cy Young candidate Wainwright going against the likely MVP in Kershaw. Lynn has gone from being barely a 5th starter to being the #2 guy on St. Louis’ staff, but I don’t know if he’s got enough to get St. Louis the split against Greinke. Missing Wacha means that St. Louis will have to depend on both Lackey and Miller. Long odds there. This series might end up being a sweep frankly; I think LA has the distinct pitching advantage here. And not having Wacha’s dominance from previous post seasons makes it tough. 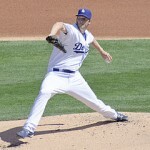 Dodgers in a sweep or 3-1 if the Cards can get to either Greinke or Ryu. The 96-win Orioles get rewarded with having to face three Cy Young winners in the first three games. Their rotation mates are underrated (3rd best ERA in the 2nd half) but certainly not in the same class as what Detroit puts up there. Baltimore’s best case is to get a split at home, then a split away and get to the 5th game. I don’t see it: I think this series hinges on whether Verlander is Cy Young-Verlander or inexplicably-bad-lately Verlander. I’m guessing the former; Detroit wins this series in a sweep or perhaps 3-1. The Angels are struggling into the playoffs and have announced they’re going with a 3-man rotation. Weaver’s history of going on 3 days rest is spotty; one decent start and one blow-out. Meanwhile the Royals burned their #1 guy in the WC game AND threw Ventura enough to have people question Ned Yost‘s sanity (even moreso than they already were with his multiple bunting). But the Angels hit, and the Royals’ guys won’t be able to completely put them at odds. I think the 3-man rotation will backfire, and whether the Royals throw Guthrie or Danny Duffy in game 4 won’t make a difference; they’ll hit Weaver at home and push this to a 5th game, where everybody will be on deck. Angels in 5. Lets see if these probable pitchers hold up to guesses made on 10/1/14. As we have already seen in the playoffs thus far, predicting these coin-flip games, or predicting the outcome of individual games, is usually fool’s gold. The first four games of the playoffs featured four Road-team wins. You can argue that the higher-seeded teams in the divisional series are “better” than the home teams and this was to be expected … except that we’re talking about divisional winners/90+ win teams all around. So far, the results have been surprising. What’s also been tough this year is the lack of “announced” starters. The Tigers seem to know exactly who they’re throwing for all 5 games of the series … but nobody else does. Baltimore’s only announced starter (Jason Hammel) hasn’t pitched since September 11th and they have a handful of guys to pick from. In last year’s version of this post I was able to do match-up analysis. This year i’ll just look at the breadth of the starters to see who has an upper hand. I’ve already talked at depth about this series in my previous post. Just looking at starters, its hard not to see the Nats as the favorite. Our Ace Gonzalez goes twice in the series, St. Louis doesn’t hit righties as well. Carpenter could be a difference maker. Justin Verlander is as close to unbeatable as there is, again evidenced by his game 1 dominance. (7ip, 3 hits one solo home run). If he’s set to go in game 4, Oakland basically has to win out. The rest of Detroit’s planned starters all sport sub 4.00 ERAs and all of them have at least a 113 ERA+. In fact, how exactly is this only an 88 win team? They have three unbelievable hitters in the middle of their order and plus starting pitching. 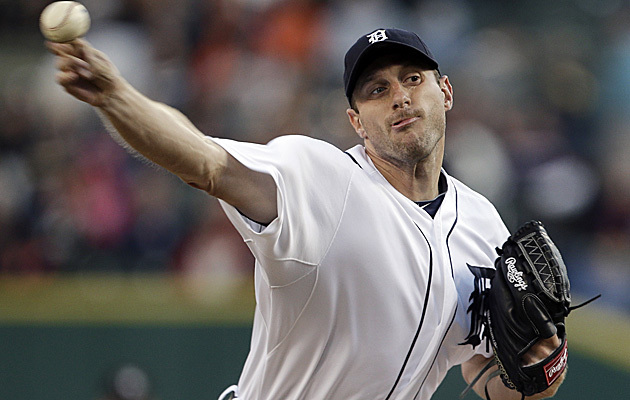 Max Scherzer and his dominating fastball apparently has recovered enough from a post-game celebration injury and should take the ball in Game 4. Anibel Sanchez has been pretty effective since arriving from Miami in a mid-season trade (is Sanchez an off-season FA target of the Nats for their 5th starter?) 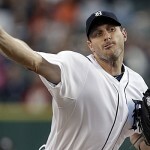 and should give the Tigers a great chance to win his game 3 start. Meanwhile, Oakland has a slew of rookie starters to choose from, all of whom sport sub 4.00 ERAs (the worst season ERA on the staff is Travis Blackley, who may or may not feature in the post-season). Jarrod Parker threw game one and was effective, just not effective enough. I was surprised to see Tommy Milone slated as the game 2 starter (perhaps chosen by virtue of his home/away splits; 2.74 ERA at home, 4.83 ERA away). After that I honestly have no idea who we’ll see. Oakland named 5 starters to its post-season roster, but AJ Griffen was pasted in his last outing and may be a long-man/emergency starter. Brett Anderson is clearly the staff Ace at this point but only returned in late August. Oakland’s been on such a tear though, its hard to bet against them. 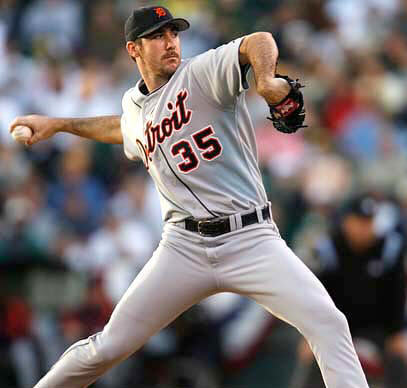 Prediction: Verlander already gave Detroit the huge advantage with a game 1 victory. Oakland needs more magic to advance. New York’s likely starters: Sabathia, Pettitte, Kuroda, Phelps? Baltimore’s only announced starter as of today is Jason Hammel, who (as noted above) hasn’t thrown in 3 weeks. After that? The Orioles used 12 different starters on the season and at one point demoted 3/5ths of their rotation in a week. They seem set to roll out the above named guys after Hammel, but this leaves out both Miguel Gonzalez and Steve Johnson, who were effective down the stretch. I can’t find a link for Baltimore’s named divisional roster as of the time of this writing; which would have helped. Meanwhile, looking at New York’s options past the above named three guys, I would initially guess that New York is going to a 3-man rotation for the playoffs. What would you rather do? See three effective veterans going on 3 days rest, or to give post-season starts to the likes of Phil Hughes or Ivan Nova? Freddie Garcia lost his starting spot in September when Pettitte returned but isn’t an option because of how ineffective he’s been all season. Would you give a game-4 start to rookie David Phelps? It seems amazing to me that the highest payroll team in the league can’t find an effective 4th and 5th starter (getting Pettitte out of retirement? Giving Garcia 17 starts after signing him off the trash heap?) and I think it continues to be their downfall (only one World Series appearance in 8 years). New York swept the Orioles in the first series of the season, split a 2-game set in mid-season, but lost EVERY other series exactly 2 games to 1 on the season. Is there any reason not to think they’ll do something similar in this series? I see a split in Baltimore and then New York struggling to win 2 of 3 in New York. Does Sabathia struggle going on 3 days rest? More importantly, does Pettitte?? He should be on a golf course right now, not pitching in October. It should be interesting to see if New York uses a 4th starter. We’ve already seen some interesting mishaps with Cincinnati’s best laid plans; Cueto out with bask spasms after just 2 batters, planned game 3 starter Latos forced into action. Now it looks like Cueto will go game 3, with Bailey either pushed to game 4 or skipped outright since Latos only threw 4 innings in game 1. 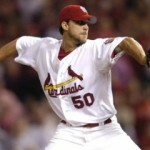 Or perhaps Bailey goes game 4 with Latos pushed to a possible game 5. Either way, the wild-cards here are Cueto’s health and Arroyo’s effectiveness. If Cueto returns for a game 3 start, with Cincinnati haven already “stolen” a game against SF’s ace, the Giants are in trouble. Meanwhile, has San Francisco made a decision on its starters? They’ve named all 5 (the above four plus Barry Zito) to the post-season roster with an unnamed player dropping to the bullpen. I think they’ll go with supposed ace Tim Lincecum as the 4th starter despite Zito’s numbers being superior. Meanwhile, Ryan Vogelsong has been vulnerable down the stretch despite good numbers on the season. I think the back-end of the Giant’s rotation is a huge question mark, and if the Reds have already stolen a game against Cain, this series may be short. Here we go. Baseball’s first wild card play-in games are set for tonight (at 5pm and 8:30pm eastern time), and its safe to say there was a surprise or two with the announced pitching matchups. Lets look at the guys getting the starts and make some predictions on which team has the better chance based on the starter going. I tried to do similar posts for the 2011 post season and, while they’re not always accurate, they’re fun to do and to read. MLB Probable Pitchers are here, for tonight and the first few games of the playoffs. 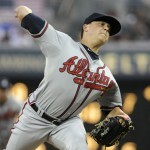 What more can we say about Medlen that we havn’t already said? 9 earned runs allowed in his 12 starts on the season, a 10-1 record with a 1.57 ERA. He’s the modern day equivalent of Greg Maddux, a slight framed guy with beyond pinpoint control. 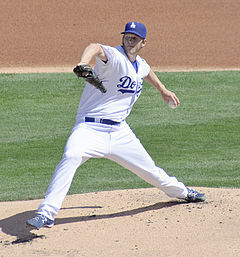 He achieved a bWAR of 4.4 despite getting just 12 starts on the year and pitching in middle relief until August. Meanwhile, Kyle Lohse quietly had a great year. Nobody’s mentioning his name in consideration of Cy Young despite a sterling record and great ancillary numbers (a 134 ERA+ is pretty good). I think his selection is slightly surprising to go in this game; he’s probably the #3 starter on the team (behind Chris Carpenter and Adam Wainwright) but he’s clearly the best performer on the year. 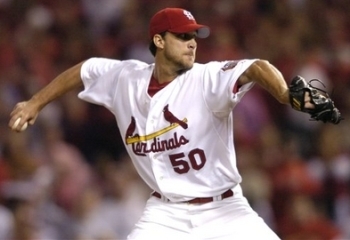 As with Atlanta choosing Medlen over Tim Hudson, Cardinals Manager Mike Matheny is going with his hottest hand. 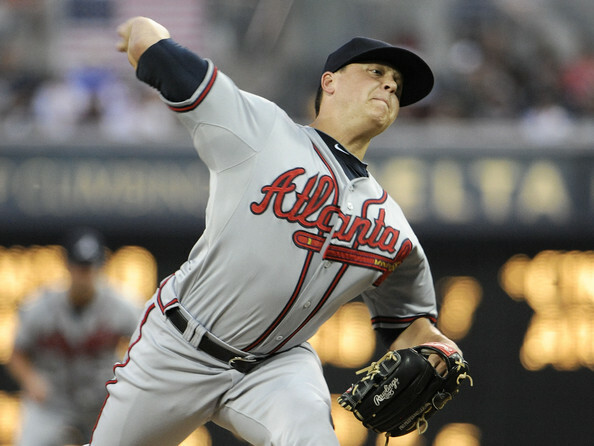 However, while Medlen is likely to pitch 6-7 innings of one-run ball, I think the Braves get to Lohse. They’ve faced him once already this year and put 9 hits and 5 runs on him in May. The Braves hit right-handers far better than lefties, but St. Louis really doesn’t have a great lefty starter choice. Jaime Garcia may not even make the post-season roster (would you take Garcia ahead of Lance Lynn?). The Pick: Atlanta in what could be a romp. Saunders is another surprising pick for Baltimore, who has gotten by on smoke & mirrors all season when it comes to starting pitching. The Northern Virginia Native Saunders (West Springfield HS and then Virginia Tech) is essentially a MLB-average starter for his career (a 103 ERA+) but pitched above his career stats in Baltimore. Not to denigrate Saunders, but he’s essentially a less stable version of John Lannan. He’s a softer tossing lefty who is about MLB average over his career, but with higher and lower extremes from season to season. Would you trust a do-or-die situation in the hands of Lannan? Problem is, who else would you go with if you were the Orioles? I thought they’d go with the hot-hand Steve Johnson or their ace Wei-Yin Chen. We’ll see if this gamble pays off; the Rangers hit left-handed pitching pretty well (108 wRC+, .285 BA). Meanwhile, this is a national stage for high priced Japanese import Darvish. He had a relatively effective season (16-9, a 116 ERA+) and got a ton of strike outs (221 in just 191 1/3 innings pitched). The Orioles definitely have some higher-strike out guys in the middle of their order (Chris Davis, Mary Reynolds). Darvish never faced Baltimore this season, but had a strong September and seems hitting his stride entering the playoffs. The Pick: Texas in a struggle.